Noticed your trees are no longer behaving or looking as they used to? Perhaps they have grown dull or weak. 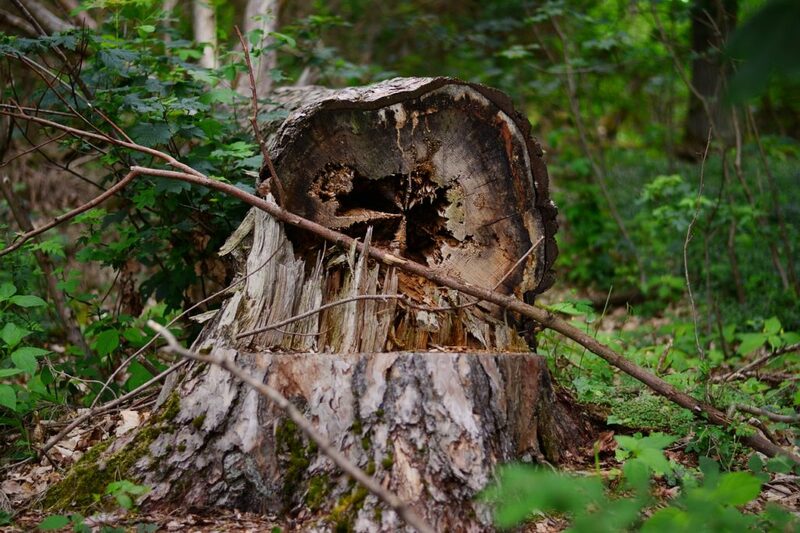 Some tree injuries are not easily noticeable so it pays to learn more about them. On this post, we’ll talk about common tree injuries along with possible solutions. Note, however, that it’s still best to consult a certified arborist or professional tree service provider to ensure you’re going for appropriate solutions. Compacted soil can strain the soil, and crush root and limit its growth. It can also reduce air spaces and restrict water movement. This can be a result of the heavy foot traffic the soil endures. Construction projects can also cause soil compaction as heavy machinery or vehicles pass through repeatedly. Among possible ways to lessen stress on trees is to apply vertical mulching or add organic matter into the soil. It also helps to keep a safe distance from the tree roots during construction projects. 2. Damages caused by lawn mowing equipment. Lawnmowers can also damage trees. While they are used specifically for turf maintenance, sometimes, they accidentally hit tree trunks and leave scrapes on the bark. These wounds can interfere with nutrient and water movement. They may heal naturally over time but there’s also a way to protect your trees and that is to apply mulch regularly. 3. Damages caused by rodents and other wildlife visitors. Rabbits and squirrels are among wildlife creatures that can cause tree damages similar to those caused by lawn equipment. Animals can chew on trees anytime they want. To prevent wildlife from injuring your trees, consider installing barriers around trees, especially on young ones. 4. Damages caused by natural events. Strong winds and storms can cause tree branches to fall off. Weak trees are more vulnerable to breakage and so are some tree species. Ensure proper tree care to help your trees endure natural disasters. If you’re only starting planting trees, consider going for sturdier species that have higher chances of surviving storms. 5. Damages caused by pests. Pests are more likely to attack stressed trees. You can avoid pest infestation by maintaining a healthy environment for your trees. Talk to a certified arborist in your area for recommendations on the best trees to plant in your yard, along with ideal planting locations for every tree type. When trees are planted in the wrong area, they may not have access to nutrients they need. Partner with tree care experts to monitor and protect your trees against pests. Should your tree be pest-infested, let professionals take care of the treatment process. As your trees grow, they will need adequate space so their roots can also spread freely. However, there are instances when the soil is unable to support the expansion of tree roots. This can be due to the presence of buildings, roads, or barriers. To support healthy growth, be sure there is enough room for the roots to expand and develop. The lack of necessary nutrients can make trees weak and more susceptible to sickness. Fertilize and mulch to ensure beneficial nutrients reach your trees. These practices can help compensate for nutrients that fallen leaves and twigs can provide. Consider cutting back on grass too around your trees to avoid competition for available food and water sources. Roots may wrap around another root or trunk instead of spreading horizontally. The challenge is that these cases can be hard to detect as roots are located beneath the soil surface. Girdling roots can cause trouble as they can weaken branches and prevent nutrients and water from reaching your trees. Arborists and tree care experts are the best persons to consult for these situations. Quick fixes may not be enough to restore the health of your trees after they get injured or damaged. Certified arborists and professional tree service companies can evaluate your trees and recommend appropriate long-term solutions. When good tree health is maintained, you’re not only enhancing your home’s curb appeal, you also ensure the safety of your loved ones and everyone around you.